On March 251, Business Connect customers using any of our Treasury Management services (ACH, Wire, Remote Deposit Capture, or Positive Pay) were upgraded to a new and enhanced business online banking platform, Commercial Center. All other companies are being upgraded to Business Center on April 81. We know you may have questions, so we’ve included our Frequently Asked Questions below as well as video demonstrations of many important features and services. Our goal is to make this upgrade as seamless as possible for you. 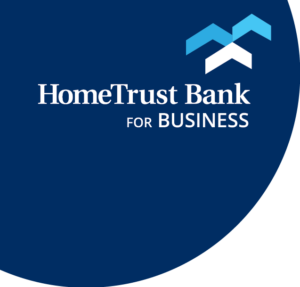 Why did HomeTrust Bank upgrade the Business Connect system? Did my user name change? Yes – your login process is different than Business Connect; in Commercial Center, you use a Secure Browser application to protect your information while you access the system. Yes, there is a new and updated app available (HomeTrust Business) in the iTunes and Google Play stores for you to download. How do I download the Secure Browser? Click here to download and install the Secure Browser for your operating system. How do I register my token? You will no longer need your token in Commercial Center. Instead, our Secure Browser provides multi-layered protection against malware, keylogging, malicious code, and compromised credentials. Click here to download the secure browser now. What will happen to my ACH and Wire transfer templates? Your ACH and Wire templates will carry over into Commercial Center, including any changes made up until 6PM on Friday, March 22. Any changes made after that time will need to be re-created in Commercial Center. Did my pending or scheduled transfers process? All pending one-time ACH, Wire, and Internal transfers scheduled in Business Connect to process during the week of March 25 – March 29 will occur as scheduled. 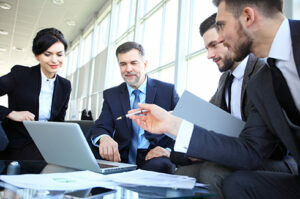 Recurring ACH, Wire, or Internal transfers need to be re-created in Commercial Center. Did my Recurring Transfers continue on-schedule? If a template was used to create the recurring transfer, you now see the saved template in Commercial Center – however, the recurring transactions themselves do need to be re-created in Commercial Center. Will I need to re-enroll in eStatements? If you are enrolled in electronic statements today, you will continue to receive those statements electronically in Commercial Center. The first time that you attempt to access eStatements in Commercial Center, you will be prompted to verify that you can access PDF documents and accept terms and conditions. To assist you as you switch to Commercial Center, watch the overview videos and tutorials of common Commercial Center activities below. Our Customer Care Center is ready to assist you with any questions you have about the conversion to Commercial Center. They can be reached by phone at 800.627.1632, option 6, Monday – Friday 8:00 a.m. to 7:00 p.m. or Saturday from 9:00 a.m. to 3:00 p.m.
You may also use the form below to contact our Customer Care Center with questions. Please note: if you have Bill Pay services today, you will be upgraded on April 8, rather than March 25.